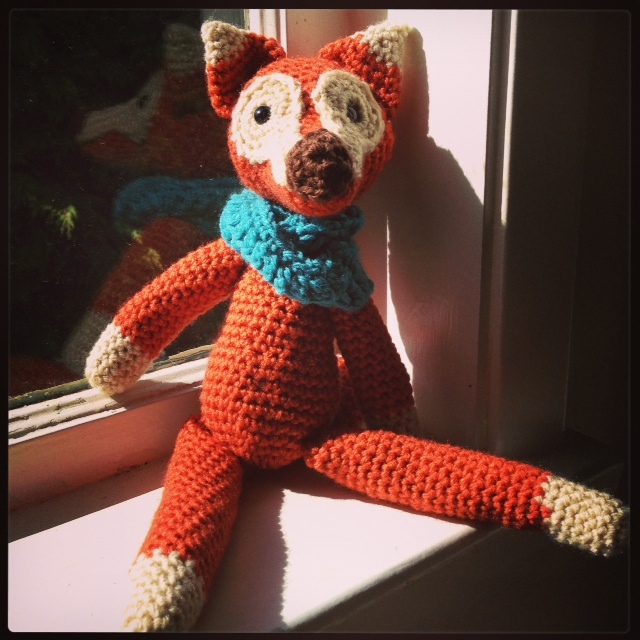 Have you seen The Fantastic Mr. Fox yet? You MUST! It is the best. I actually saw it when it first came out and I was nine months pregnant with Mr. T (Thomas, I mean) and Andrew and I went on this epic Christmas Day walk that ended up being 4 1/2 hours in total but had a nice little movie break in the middle. Anyway, I LOOOOVED the book and the movie, for once, did the book justice. Ever since, I have really wanted Thomas to have a little fox toy of some sort but I could never quite find what I was looking for so…… I made this guy…. 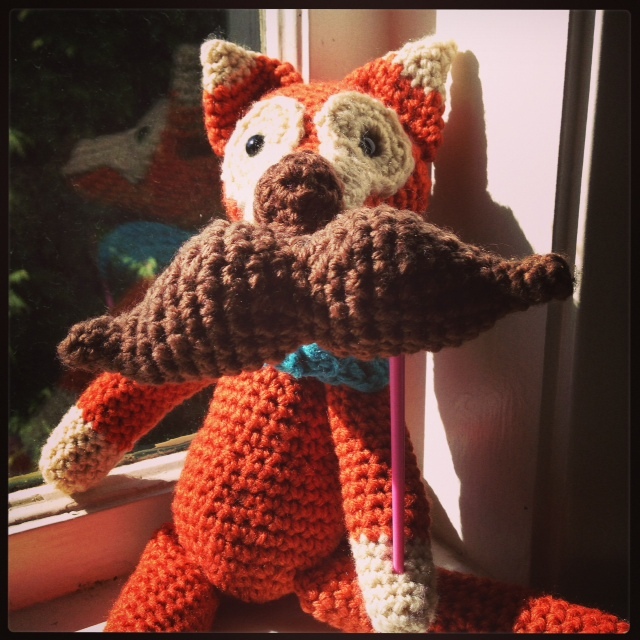 The hipster fox, complete with an infinity cowl as they`re all the rage. I love this guy! I used a pattern for the head but then winged it for the rest of him because I was picturing a fox with long, spangly limbs. As I was making the long, skinny legs I was thinking about hipster guys with their skinny jeans but because I have no idea how to even begin crocheting skinny jeans, I decided to give this hipster guy an infinity cowl instead. 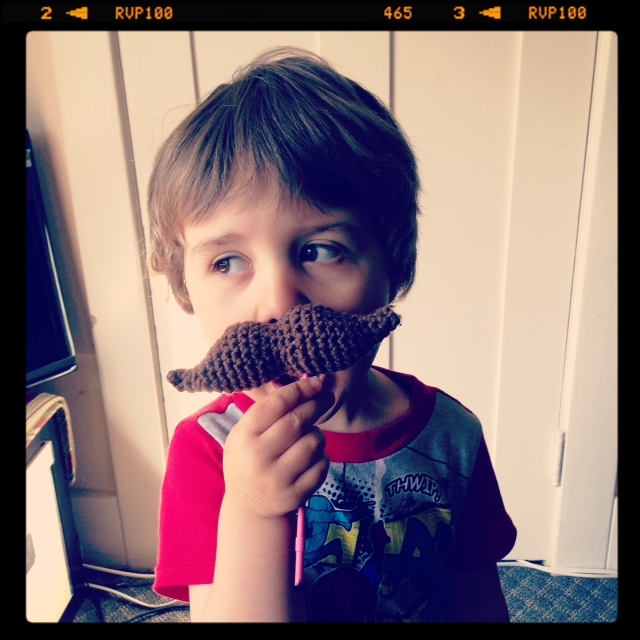 Why a cowl you are undoubtedly asking your collective selves? Well, yesterday at Meinhardt`s (over priced fancy grocery store that sells DE-LISH-US macaroons) I was sort of blankly staring at the person in front of me, admiring their cowl and figuring out how I could make up a pattern for the same when the person turned and….ohhh, hello SIR, I like your man-cowl. So you`re wearing cowls now are you boys? Alrighty then, hipster fox with a cowl it shall be. 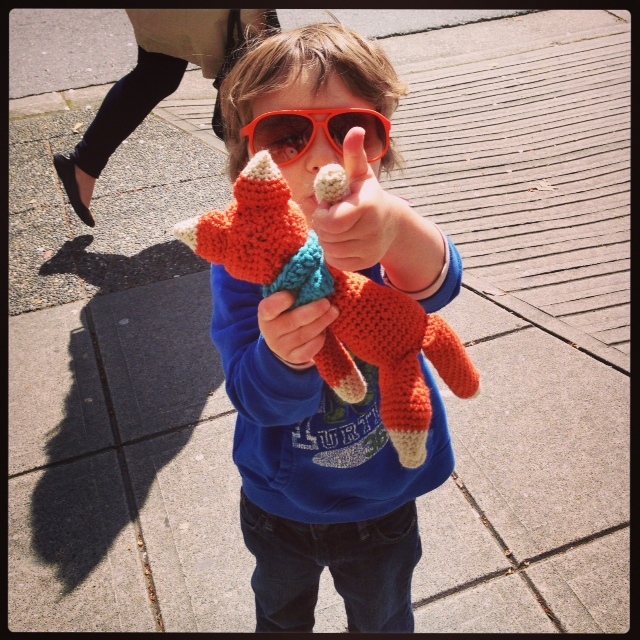 And if the fox is going to do it…..
We then headed out for the day and, of course, we took foxy with us for some city adventures. (note: my apologies for the poor quality of many of my photos lately – I`ve been taking lots of pics with my iphone which just don`t look as nice when inserted here.) Every time I tried to get a pic of Thomas and Foxy, Thomas would turn Foxy to look at him so there were a lot of shots of Foxy`s tail in different parts of the city. It was an exhausting, but fun, afternoon. Sullied only by a brief pit-stop at the doctor`s to find that I have strep throat, booooo. Nothing that a hot tea (and antibiotics) won`t cure. 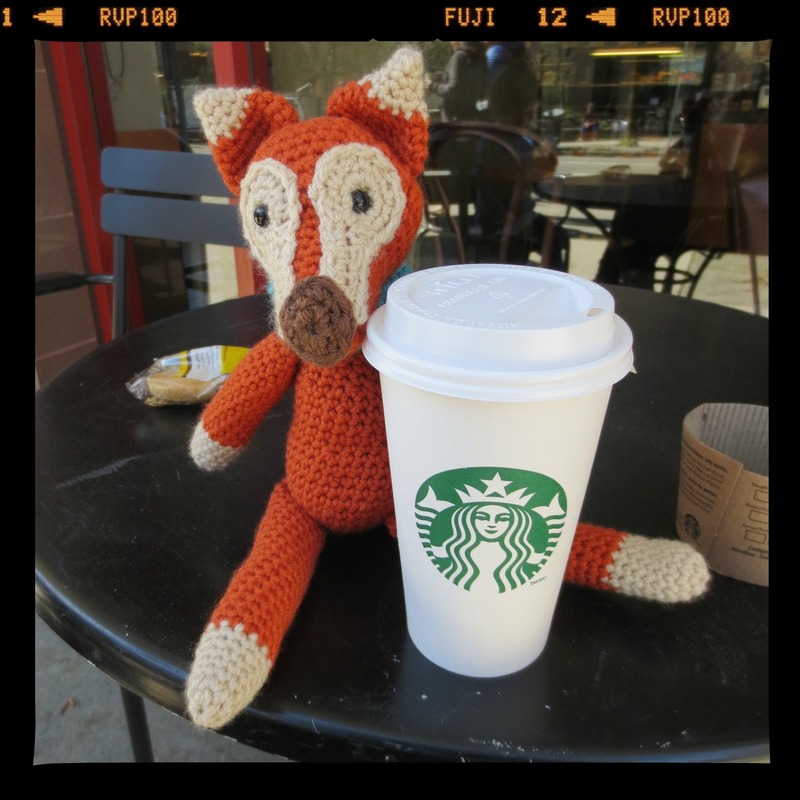 Foxy had a latte. Skinny, obv. Later, I made a mini-foxy to mail to a friend. I`ll post a tutorial for the little guy this weekend some time. 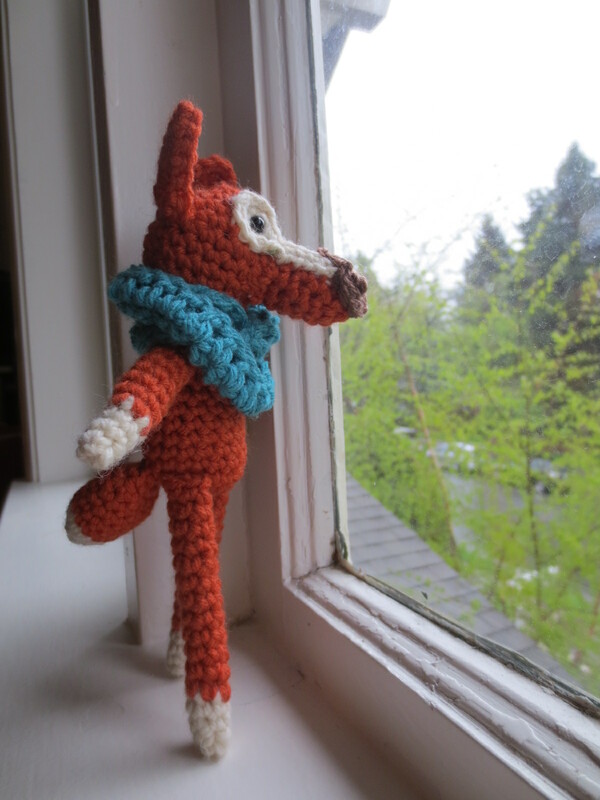 Here are a few pics of Foxy and his little friend and of mini-fox, staring out at the rainy day and wishing he could have a city adventure like Foxy did. Sigh Some other time mini-fox. 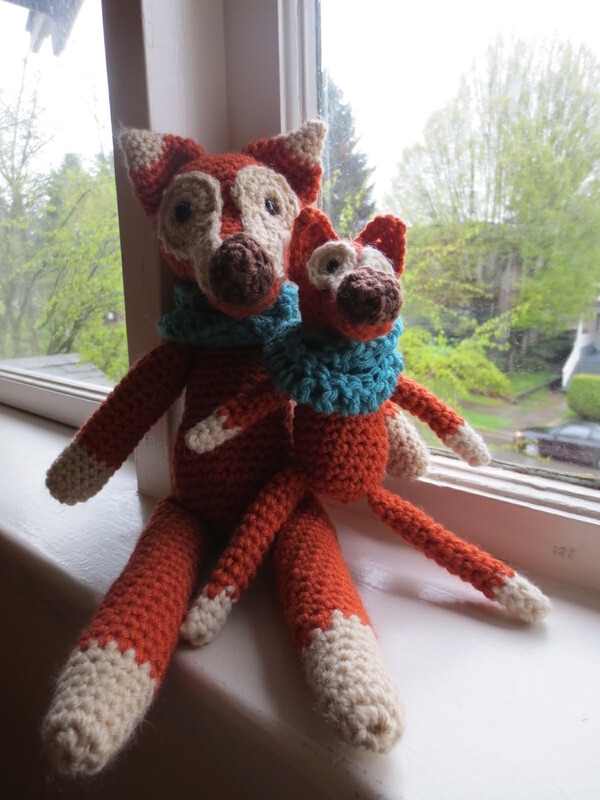 Categories: Crafty, Crochet, diy, family, Kids, motherhood, photography, toddler, tutorial | Tags: Craft, crochet, diy, family, funny, kids, motherhood, parenting, photography, The Fantastic Mr. Fox, tutorial, vancouver | Permalink. Love the fox and your posts! Thanks cousin! So glad you’re enjoying it!